ONE: Merrimack Repertory Theatre will celebrate the holidays with the imaginative and radiant “Miss Bennet: Christmas at Pemberley,” a sequel to Jane Austen’s “Pride and Prejudice,” on Friday and Saturday at 8 p.m. and Sunday at 2 p.m. The play has been called “a celebration of nerd love in all its overeducated glory” by the Chicago Tribune. TWO: A Holiday Calligraphy Workshop for Beginners in Andover will help you unplug, unwind and discover a new artistic method at Helen Thomas Simply Smashing this Sunday at 10 a.m. Liz Roessler of Lettering By Liz will teach the fundamentals of pointed pen calligraphy with acrylic ink. This holiday-themed class is open to new and returning students. You’ll create gift tags, envelopes and write your favorite short quote. Best of all, you’ll leave with the completed piece ready to frame! If that weren’t enough holiday cheer at Helen Thomas Simply Smashing, they’ll also host a Holiday Shop on Thursday from 6 to 9 p.m. featuring wine, snacks and the “handmade, reiki-infused” jewelry of Marylee Fairbanks. 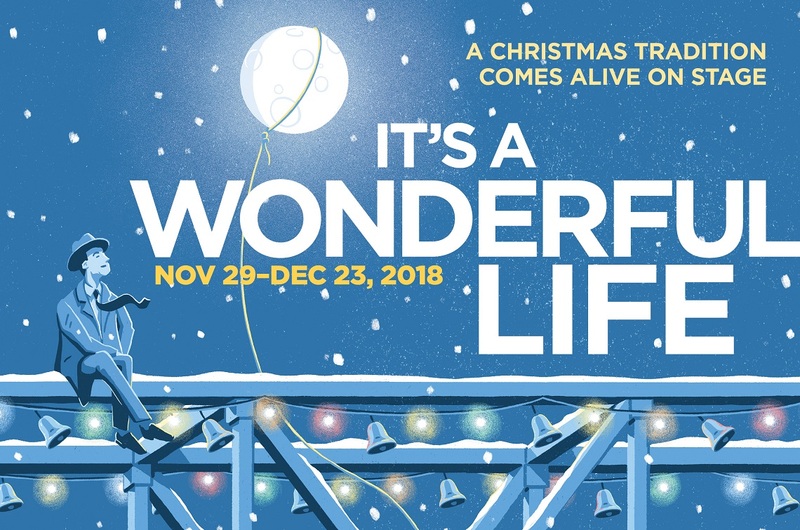 THREE: Get into the Christmas spirit with the Greater Boston Stage Company’s version of “It’s a Wonderful Life” on Friday at 8 p.m., Saturday at 3 and 8 p.m., or Sunday at 2 p.m. When misfortune befalls George Bailey on Christmas Eve, guardian angel Clarence swoops in to remind him of all the good he has done in the lives of those who love him most. THREE: See the stage version of a beloved holiday classic as the Greater Boston Stage Company performs “It’s a Wonderful Life” this weekend. FOUR: We’re One Wilmington’s 8th Annual Festival of Trees at Villanova Hall is a family-friendly event featuring a raffle of spectacular holiday trees, wreaths and baskets, musical performances and a special visit by Mrs. Claus. Bring the family along on Saturday from 9 a.m. to 9 p.m. or Sunday from 9 a.m. to 3 p.m.
FIVE: Middlesex Community College’s Theatre Department will stage William Shakespeare’s “Romeo and Juliet” on Saturday and Sunday at 2 p.m. and 7 p.m. This production of the classic tragedy will be the first in the college’s newly renovated Richard & Nancy Donahue Family Academic Arts Center Theatre on the Lowell campus. SIX: Join the MSPCA at Nevins Farm to celebrate the holidays at their Holiday Tree & Christmas Feast for the Horses event from 4:30 to 6:30 p.m. on Saturday. Help them create a Christmas feast to share by bringing carrots, apples, and peppermints to place in the stockings of the organization’s adoptable horses. Then, enjoy a holiday tree lighting, photos with Santa and an open house with treats and refreshments. FOUR: Bring home a spectacular holiday tree through the raffle at We’re One Wilmington’s 8th Annual Festival of Trees. SEVEN: The excitement of the Sea Festival of Trees continues this weekend with another special event, a Whoville Christmas Feast at Blue Ocean Music Hall. Gather your favorite Whos, tall and small, on Saturday from 6 to 8 p.m. for a holiday meal complete with Who-pudding and yummy Roast Beast. EXTRA: Cantemus Chamber Chorus’ “A Season of Gloria!” holiday concerts hark back to one of the earliest and most joyous expressions of celebration, “Gloria!” For centuries, this theme has inspired musicians to rise to the spirit of the season. Join in the holiday mirth on Sunday at 4 p.m. at Central Congregational Church in Newburyport.